Latest MI A1 firmware 9.5.4.0 is now available via OTA update. User can update their own Xiaomi Mi A1 on 9.5.4.0 over to OTA update but if you have rooted device or want to install Mi A1 latest firmware on Mi A1 android One then download Mi A1 software version 9.5.4.0 [fastboot ROM]. As we all know Xiaomi is rolling out 9.5.4.0 android version via OTA but still you are unable to update your device on 9.5.4.0 then you have an option to install latest Mi A1 firmware manually. Latest Android One Mi A1 stable fastboot firmware can be download from below download section. Technically this Mi A1 firmware 9.5.4.0 update is February first weak update. Most of the devices like Pixel has been updated on this patch but unfortunately it comes with lot of bugs. So Xiaomi stopped this buggy version for their Xiaomi Mi A1 Smartphones. 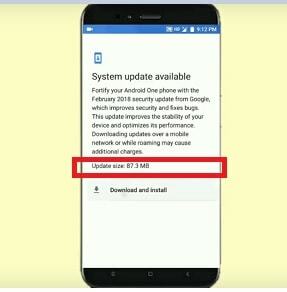 After fixing all the available bugs, Xiaomi released this Mi A1 android Oreo 9.5.4.0 OTA update in month of March, 2018. Same as Mi A1 android oreo 9.5.4.0 stable fastboot ROM is available to flash manually. 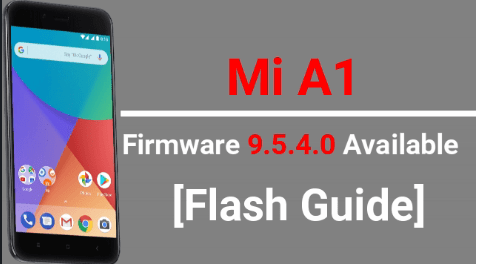 If you are unable to get MI A1 OTA update, flash Mi A1 latest rom manually to enjoy latest features with latest security patch level February, 2018. If you have received android v9.5.4.0 OTA update notification then user can update Mi A1 on latest android software through device. So if you want to flash Mi A1 firmware v9.5.4.0 manually then download Mi A1 fastboot rom. For manual flashing, you need to use Mi flash tool. Download Mi A1 9.5.4.0 fastboot rom and Mi flash tool to flash latest firmware on Mi A1 android one mobile. 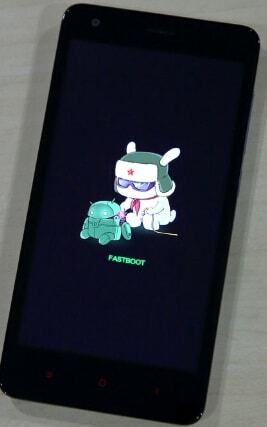 Boot Mi A1 into fastboot mode using key combinations. Download and extract the downloaded Mi A1 v9.5.4.0 fastboot rom on desktop. 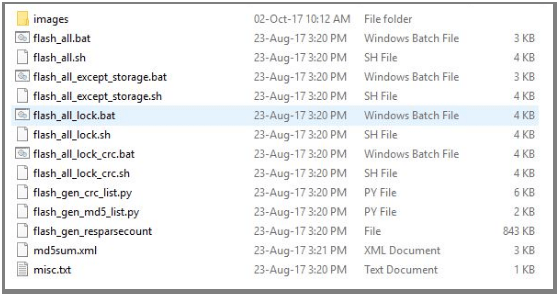 After extracting the above fastboot rom, you will see new folder with these below files and folder. 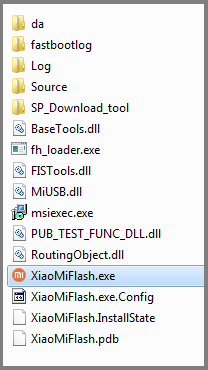 In next step, open “Mi flash tool” or “Mi ROM Flashing tool” and launch it on pc as administrator. 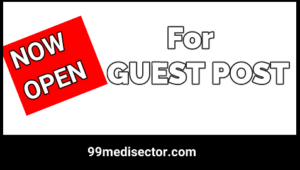 Click on Select or browse button and load the extracted Mi a1 fastboot rom folder from desktop. 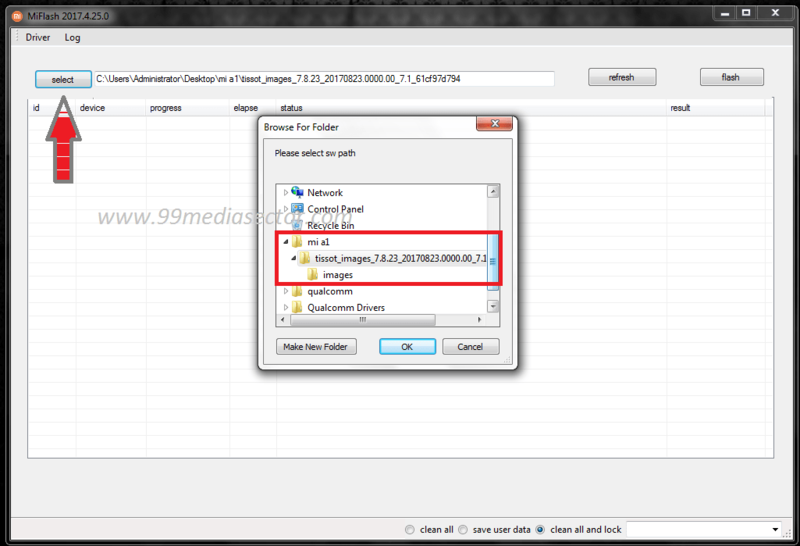 Again click on “refresh” button in Mi flash tool and it will detect your device automatically. Here you will see some numeric strings in flash tool window. That means device is connected with pc properly. Clean all– This option will wipe all user data & phone data completely. Save User Data– It will not wipe user data from your device. 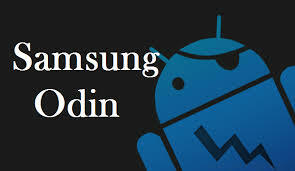 Clean all & Lock– This function will lock bootloader again and will wipe your device completely. In the last step, click on “FLASH” button to start firmware flashing process on MI A1. After completing the process, progress bar will be fully green and can see successful message “Operation completed successfully”. Unplug cable and setupe the device again. NOTE – After first flashing firmware manually, it may take around 15 minutes to reboot normally. So sit back and wait to boot it normally. 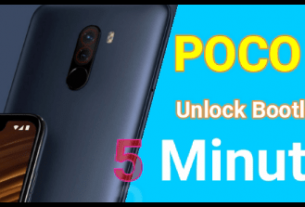 This is all about how to install Mi A1 9.5.4.0 OTA firmware update manually? Hope this guide will help you to update your own Mi A1 android one device by flashing firmware.